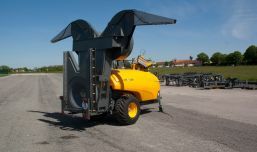 POWERFLOW sprayers comprise a lightweight tubular chassis which is both simple and robust. The axles, which are positioned centrally and can be adjusted to the tractor's track width, offer excellent load distribution. 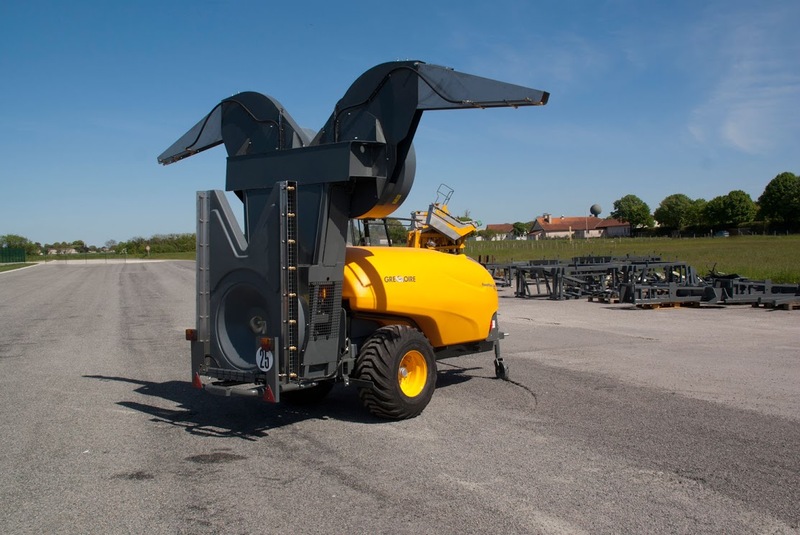 The articulated drawbar, fitted on a bearing, improves handling. 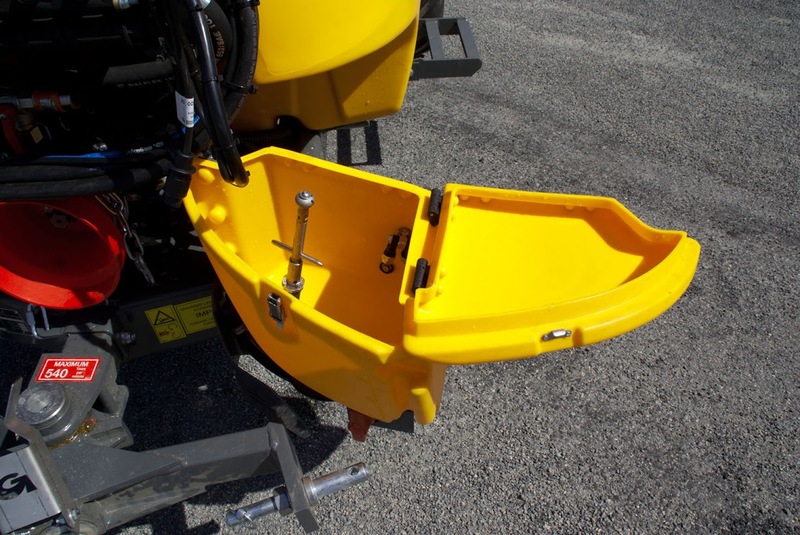 The POWERFLOW TTA is equipped with a smooth polyethylene tank to prevent damage to the vines. 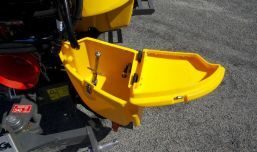 The rinsing tank and the hand wash reservoir are integrated into the main tank. This range is available with a choice of tank capacities to satisfy your requirements. The POWERFLOW TTA enables you to treat 4 complete rows. The working speed is steady, and the cost per hectare reduced. 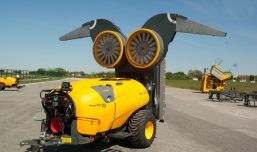 Three turbines, 750mm in diameter, with an inverted air intake system to prevent any recirculation of products or pick-up of debris. Stainless flaps support twin-jet diffusers tilted 30° backwards to help penetration of the product. A powerful air flow is provided by the DX'PLUS vertical tower and adjustable flaps can be oriented for precise positioning. 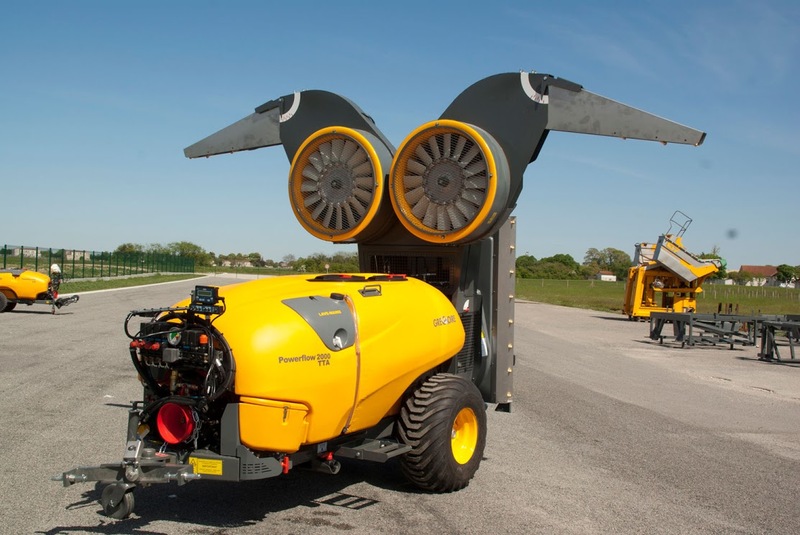 The POWERFLOW TTA is the perfect sprayer for large heavily trained vineyards. Triple filtration : filling screen, 365 µm pick-up filter and bronze high pressure filter.